CakeDrop delivers the yummiest cake from London’s best independent bakeries, direct to London offices. We take the last-minute element out of workplace celebrations and perks by allowing office managers to buy and schedule cake deliveries in advance via our website. I worked at an advertising company in the City. We had such a great office culture and would always celebrate colleagues’ birthdays. That said, it was always a 10-minute rush to decorate a desk and sneak out to buy a rubbish supermarket cake before they got into work. That’s what sparked the idea for CakeDrop initially – the opportunity to improve the status quo. For me, it wasn’t a case of wanting to break away and be my own boss – I loved being employed. It was simply the fact that I believed in CakeDrop as a business concept… and then couldn’t stop thinking about it. I worked on the business behind the scenes for over a year before finally leaving my job to focus on it 100%. Ultimately, it was that huge leap of faith that led me to achieving the goal of launching, otherwise I could have planned and prepared endlessly. Really tough. I never anticipated the amount of things there would be to do, the amount of things there are to pay for, and the constant obstacles that you have to overcome in order to sustain a business. That’s not to say it hasn’t been a lot of fun, it really has. Some days have been so energising and positive that it completely overrides the times where I’ve sobbed on the bus home after a day of setbacks. You’ve really got to take the good with the bad and keep the faith. Being so invested in your business and customers, and having to deal with inevitable glitches. There will always be days where things just don’t go right – especially with a delivery-based business. I find myself worrying on a Saturday night about little things that could go wrong the following week. As a business owner, if things don’t go to plan, it’s not as simple as just shrugging it off. I know I am fully responsible and I do not want to let anyone down. The pressure of that is very real. 6. Employee culture – more specifically improving it – is a big theme of the moment. CakeDrop aims to help do that, doesn’t it? There are so many amazing employers in London these days that really invest in their workplace culture to keep staff happy and improve productivity – whether it’s allowing staff to bring their pups to work, building wacky breakout rooms, or making sure every birthday is celebrated properly. We know that cake is a huge part of office culture, but it's tough for office managers to source decent cake in a cost-effective way. Many of the amazing independent bakeries in London aren’t set up for delivery, and those that are struggle to make it financially viable without a steep delivery charge. CakeDrop bridges that gap and offers an alternative to getting the same old Colin the Caterpillar in every time there is a celebration at work. 7. The irony is that you’re improving culture, but you’re working mostly on your own. Do you find it lonely? When I first began, I was extremely lonely. I went from a busy fun office to being at home alone every day, sometimes for three days in a row without seeing anyone. Now I really value the time I get to spend with other people during the working week, whether that’s networking with other business owners, catching up with our suppliers, or even those brief moments I get with customers when I’m out CakeDropping. 8. How do you combat the anti/low-sugar movement with your products – or the ‘naysayers’? 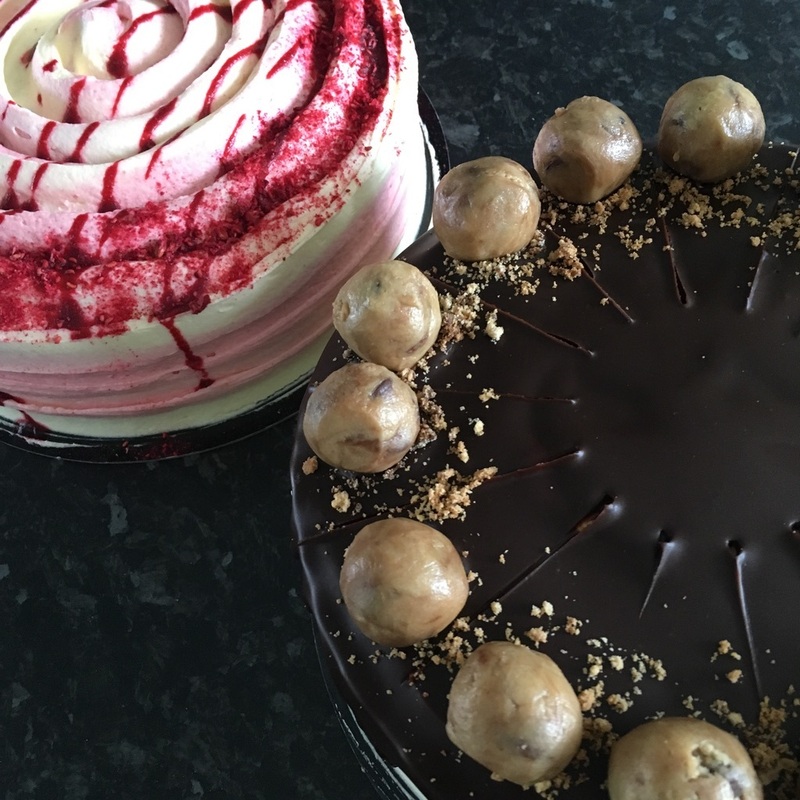 At CakeDrop, our aim is to move offices away from buying mass-produced supermarket cake which is pumped full of artificial additives, preservatives, and far too much sugar to make up for a lack of real flavour. The cakes we deliver are made fresh with ingredients such as seasonal fruit, edible petals, and all-natural flavourings. That’s not to say they should be considered one of your 5-a-day, but if you’re going to treat yourself to a slice of cake then there is a way to do it right. Aside from offering quality, we also have a growing variety of gluten-free and vegan cakes, and have just brought an all-gf bakery on board who provide an incredible range of refined sugar-free bakes. Ultimately, CakeDrop isn’t about promoting an unhealthy lifestyle, it’s about doing things better and making sure everyone can enjoy cake in the office, whatever their dietary requirements or preferences. We were over the moon to be shortlisted only a couple of months after launching. It meant we had to present our idea to Levi Roots and a panel of judges at Westfield Stratford City for the chance to win some funding and mentoring. Although it was so nerve wracking, it was a great way to kick off the business by standing in front of an audience and putting CakeDrop out there. There was tough competition and we didn’t win, but it was a great experience and motivated us for the year ahead. 10. Do you have any advice for other founders at the start of their journeys? Firstly, accept help from anyone and everyone who offers it, and then be picky with what advice you carry forward. It's hard to ask for time from people when you know you have nothing to offer back, but it is so important. I hope one day I can pay forward all the help that has been given to me. Secondly, read constantly about successful entrepreneurs, startups, corporate business, and everything in between. There will be at least one takeaway from every book that you can apply to your business. Lastly, learn to deal with the fact that not everything will be as perfect as you want it, and low budgets will hold you back in the early days from doing all the amazing things you want for your business. But it is better to have started the process than to wait until you have ‘enough money’ and everything just as you want it. The latter will never transpire on its own, but by starting at least you are one step closer. 11. What does the future hold for your business? This year has been really exciting already – we’ve on-boarded loads of new offices, revamped our website and are about to launch CakeClub, London’s first monthly cake subscription service for offices. We have just expanded our delivery zone within London but would like to go further. Hopefully one day outside of London, into other major cities. 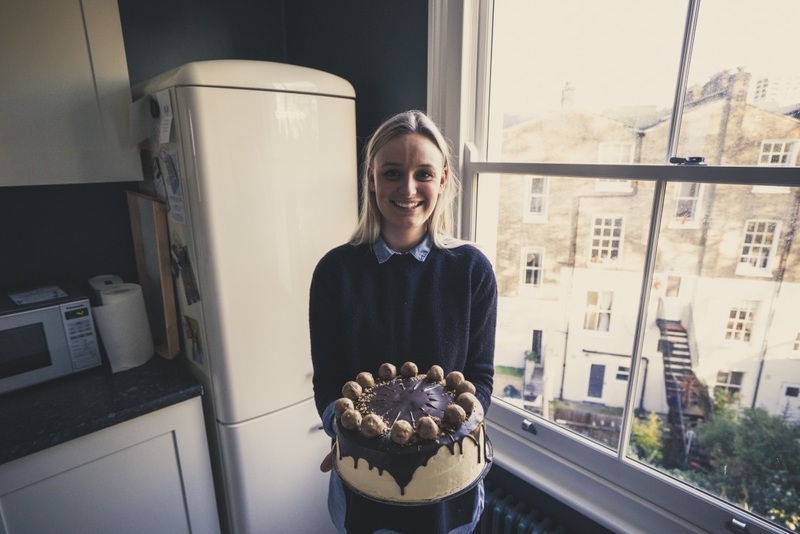 Craving more sweet startup stories like Anna's? Join the conversation using the hashtag #MVPtoVIP. Follow @cakedropldn, @AnnaG_Ward & @farillio.